Born in Ukraine, American guitarist Vlad has carved his way in the jungle of music by bringing new hits, new sound and new music to the scene. 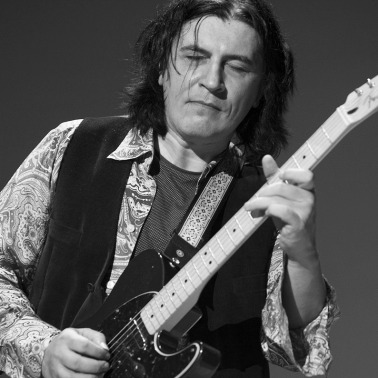 An alumni of the Berklee College of Music, and taught by Mike Stern and John Abercrombie, Vlad was very well equipped for his first performances. His debut album "Vladosphere" (Orpheus, EMI) went to the top of the charts, while his brilliant acoustic guitar album "Sun In Capricorn" earned a Grammy nomination. In 2014 Vlad became an ambassador of the Berklee College of Music, and established the American Music Academy (AMA) to bring the legendary music education to Eastern Europe.